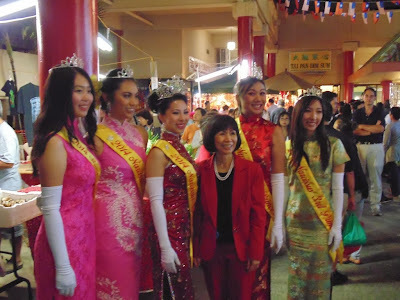 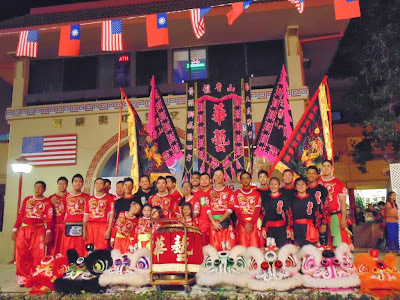 The Night of Chinatown (Choy Cheng) also featured a stage of performances at the Chinatown Cultural Plaza. 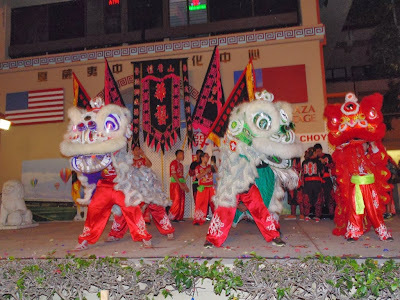 Here is some lion dancing on stage followed by a performers group shot. 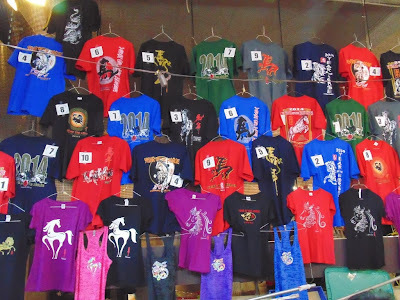 Also in the plaza were a variety of Year of the Horse t shirts, food booths and tables selling many cultural and good luck items.